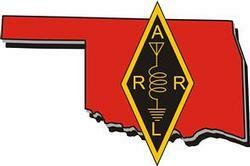 The Choctaw Amateur Radio Club, an ARRL affiliated club, meets quarterly the third Monday of the month for our regular business meeting. The meeting starts at 7:00 PM in the Oak Room of the Eastern Oklahoma Country Technology Center, City of Choctaw. Three times a year the meeting is a Dinner meeting, April, August, and December locations may vary. Everyone is invited and encouraged to attend our club meeting. A free exchange of ideas and a chance to meet your fellow "Hams" is our recipe for friendship. It is time again to pay your club dues.